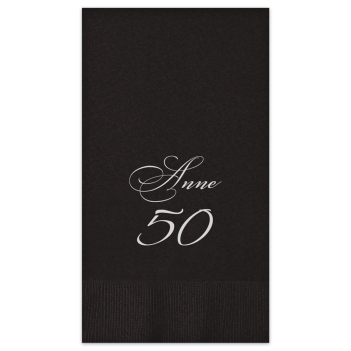 If you’re pulling out all the stops to gather friends and family for a celebration, put the Jubilee Guest Towel on your must-have list. 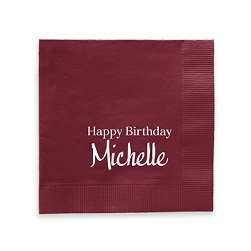 Offering one line of personalization and up to 2 numbers, this foil party napkin is perfect for birthdays and anniversaries. 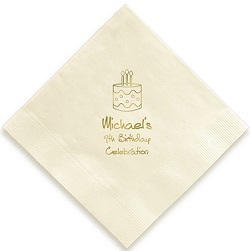 The script font features flowing lines and curlicues in your choice of foil color. 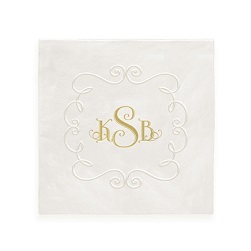 Personalize your birthday guest towel today.